The National Council on Alcoholism and Drug Dependence – Rochester Area works every day to reduce the incidence and prevalence of the disease of alcoholism and other drug dependence. When does the FASD Parent Networking and Support Group meet? The group typically meets the last Wednesday of the month during the school year, but it’s important to call in the event that parents have requested a date change in a particular month. More information may be requested by contacting Jennifer Faringer, NCADD-RA Director, at (585) 719-3480 or at jfaringer@depaul.org. When does the next Addictions Counselor Credential Training (ACCT) program start? What is the length of the ACCT program? The next class will start in January 2020. The ACCT program is 16 months in length. Applications and/or more information can be found here or requested by contacting Jennifer Faringer, NCADD-RA Director, at (585) 719-3480 or at jfaringer@depaul.org. Click here to learn more about the ACCT program. When does Gamblers Anonymous meet at NCADD-RA’s location? Click here to view a list of Gamblers Anonymous meetings in the Finger Lakes region. For areas outside of New York State, click here. I am concerned about myself/or a loved one regarding their alcohol and/or other drug use. My life and my family’s life is falling apart. How can I get help? There is help available in our community for youth and adults. Services range from treatment (detox to inpatient and outpatient services) to prevention. 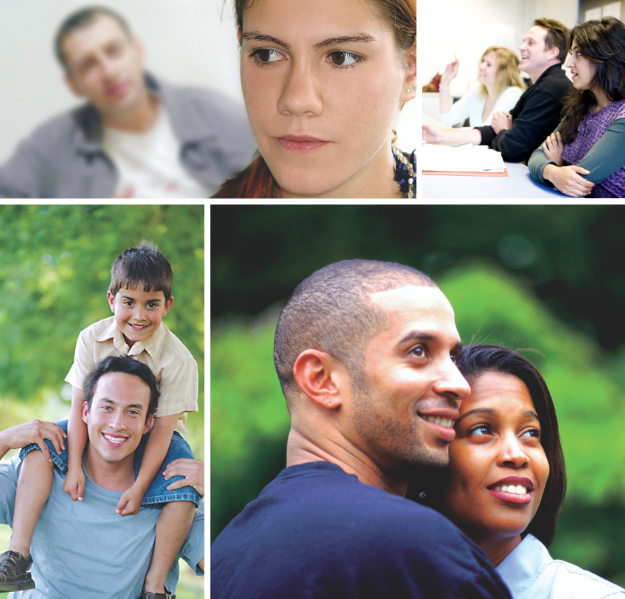 NCADD-RA offers a Total Approach Family Program, an educational series for loved ones to learn about addictions and the effects on the family and their lives. To learn more, please contact Bridget DeRollo, Family Program Coordinator, at (585) 719-3483 or at bderollo@depaul.org. Where can I find a safe disposal site for unwanted and/or unused prescription and over the counter medications? To locate safe disposal sites for your medications, visit the Monroe County Waste Disposal Site at www.monroecounty.gov/hhw. To learn more about Prescription Drug Misuse/Abuse, contact Jennifer Faringer, NCADD-RA Director, at (585) 719-3480 or at jfaringer@depaul.org. I suspect my son or daughter is using drugs or alcohol. What can I do to help him or her? Staff at NCADD-RA can provide information, resources and/or a presentation for your parent group on this issue. To learn more, please contact Bridget DeRollo, Family Program Coordinator, at (585) 719-3483 or at bderollo@depaul.org or Amy Johnson, Community Education Coordinator, at (585) 719-3489 or at ajohnson@depaul.org. How do I get on your mailing list to receive NCADD-RA newsletters and training flyers? To add your address to NCADD-RA’s mailing list, please call (585) 719-3484 or email Aracelis Ramos, Bilingual Secretary, at aramos@depaul.org, or use our newsletter sign-up. Do you offer alcohol and/or drug evaluations? NCADD-RA provides prevention education and support services. We have developed a Monroe County OASAS Treatment Provider Directory which we update biannually that identifies providers in our area who provide alcohol and/or drug evaluations. Access this directory on our Resources page or by calling (585) 719-3480 or (585) 719-3483 or by emailing Jennifer Faringer, NCADD-RA Director, at jfaringer@depaul.org or Bridget DeRollo, Family Program Coordinator, at bderollo@depaul.org. You can also access directories for the eight counties surrounding Monroe County through the Finger Lakes Addiction Resource Center. For more information, please contact Erin Egloff, FLARC Coordinator, at (585) 719-3485 or at eegloff@depaul.org. What services does NCADD-RA’s Finger Lakes Prevention Resource Center (FL PRC) provide? The FL PRC provides training and technical assistance for coalitions on implementing the Strategic Prevention Framework and Environmental Prevention strategies. For more information, please call Barb Christensen, FL PRC Project Coordinator, (585) 719-3482 or at bchristensen@depaul.org or Jerry Bennett, FL PRC Community Development Specialist, at (585) 719-3488 or at jbennett@depaul.org. What services does NCADD-RA’s Finger Lakes Addiction Resource Center (FLARC) provide? The FLARC provides referral directories for the 9-County Finger Lakes Economic Development Zone (Genesee, Orleans, Wyoming, Livingston, Ontario, Yates, Monroe, Seneca and Yates). For more information, please contact Erin Egloff, FLARC Coordinator, at (585) 719-3485 or at eegloff@depaul.org.